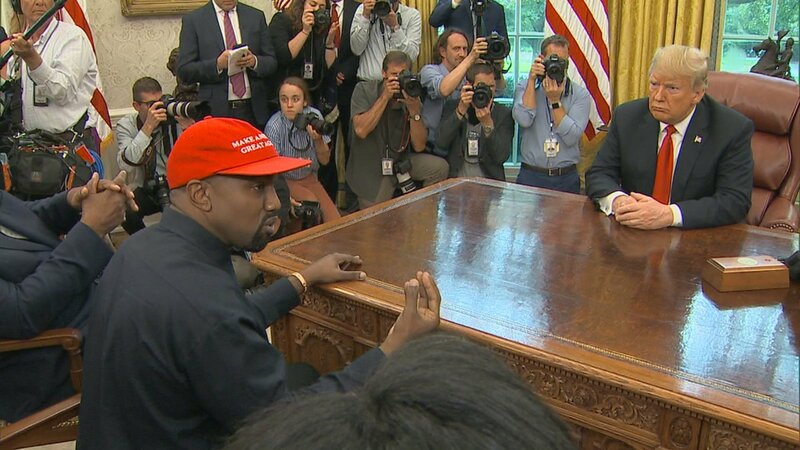 During a visit Thursday to the White House, Grammy Award-winning rapper Kanye West talked about his hometown of Chicago and much more in a meeting with President Donald Trump. “The president said he found Kanye West to be impressive,” said “PBS NewsHour” White House correspondent Yamiche Alcindor. During the 30-minute meeting, West, who did most of the talking, touched on a range of topics, from presidential airplanes to the 13th Amendment to his own mental health.